Kathryn Lynch, an environmental anthropologist and co-director of the University of Oregon's Environmental Leadership Program, has been named one of 10 Chevrolet GREEN Educator Award-winners from around the country for 2012. Earth Force and the General Motors Foundation make the awards to inspirational educators who engage youth in innovative and interactive environmental learning. Ten educators from across the U.S. – who can be nominated by others or themselves – are be chosen to receive the annual award. Winners are featured – along with their teaching tools and best practices – on the Chevrolet GREEN Educator website. Lynch, who also serves as an instructor and undergraduate advisor in the UO's Environmental Leadership Program, was the only college or university faculty member on the 2012 GREEN Educator list. Two award winners represented high schools, two were from middle schools, two were from school districts and one each were from a watershed council, a soil and water district, and an outdoor education program. Lynch has guided undergraduate students in the creation of 28 service-learning projects with over 17 community partners since fall 2005. The projects provide UO undergraduates with practical experience, build their professional skills and confidence, and deepen their understanding of the content – while helping community partners reach their goals. The projects also reflect Lynch’s commitment to participatory, collaborative and interdisciplinary approaches in her research and teaching. The majority of Lynch's service-learning projects focus on translating traditional environmental science concepts into engaging experiential activities for K-12 children. Teams have developed and facilitated hundreds of field trips and classroom visits to teach forest ecology, wetlands conservation, ethnobotany, stream dynamics, marine biology, renewable energies, global warming/climate change and sustainability. She has also worked in Peru, Ecuador, Indonesia and the U.S., examining issues of community-based natural resource management. Those projects have included examining the role of medicinal plants in Amazonian conservation efforts and the potential for engaged environmental education to promote conservation. 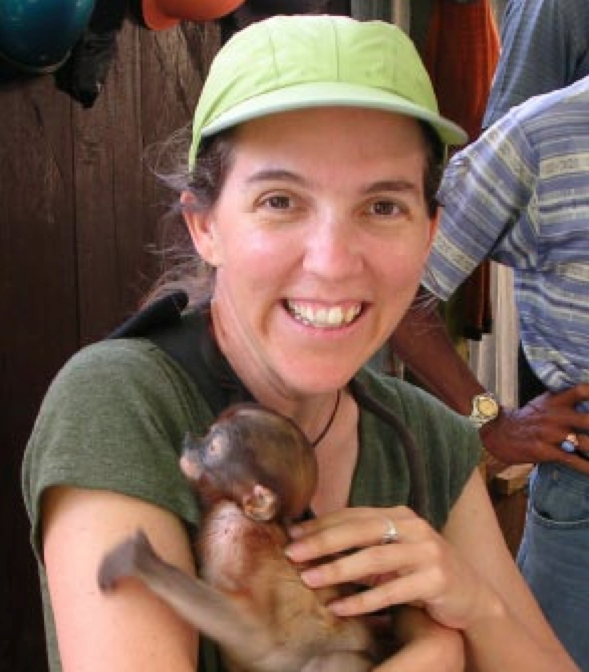 Before joining UO, Lynch was a researcher at the Institute for Culture and Ecology, where her work focused on the relationships between forest policy and management, conservation of biodiversity, and nontimber forest products. Lynch received a bachelor's degree in environmental policy analysis and planning from the University of California-Davis and a doctorate in environmental anthropology from the University of Florida.